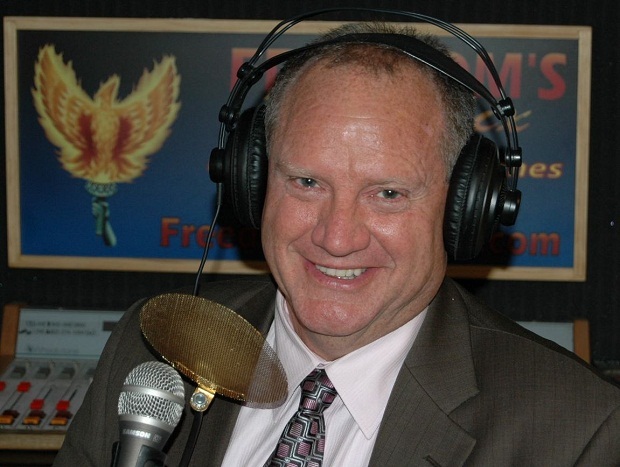 Libertarian U.S. Senate candidate Marc Victor. One of the biggest "Super PACs" in the nation is focusing part of its cash on the U.S. Senate Race that will undoubtedly be won by Democrat Richard Carmona or Republican Jeff Flake. However, the Ending Spending Fund -- which has spent $9 million in races this year, the 10th-most of any Super PAC in the nation -- is targeting Libertarian candidate Marc Victor. The Super PAC is run by former TD Ameritrade CEO Joe Ricketts, and it has dropped several million dollars thus far in the presidential race. This ad from the Super PAC featuring Senate Majority Leader Harry Reid indirectly targets Carmona, but it tells people directly: don't vote for Victor. 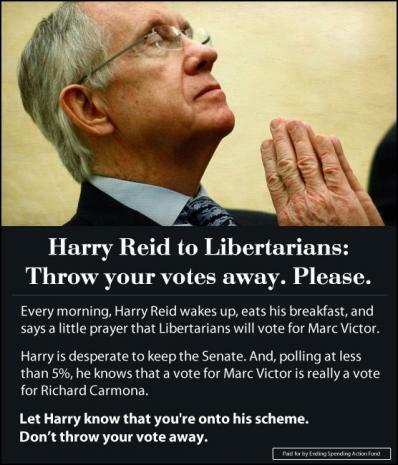 "Every morning, Harry Reid wakes up, eats his breakfast, and says a little prayer that Libertarians will vote for Marc Victor," the ad we found on Facebook says. "Harry is desperate to keep the Senate. 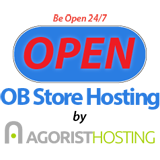 And, polling at less than 5%, he knows that a vote for Marc Victor is really a vote for Richard Carmona." Politico said earlier this month that it appeared Victor could play the role of spoiler in the race. Although there are more than 20,000 registered Libertarians in Arizona, 2010 Libertarian Senate candidate David Nolan landed more than 80,000 votes -- nearly 5 percent -- while Senator John McCain was reelected by a healthy margin. Is it plausible that Victor could be a spoiler? Sure. Does he care? No. "I don't care what people do with their votes," Victor tells New Times. "I'm just promoting freedom." If the people trying to get Flake elected think he can steal some of the Libertarian vote, Victor's not buyin' it. "Jeff Flake is pretending to be a Libertarian, pretending to be for freedom and free markets," he says. "He can't even come out against the drug war," Victor continues. "For me, that's the easiest thing to come out against." Victor says it seems like Flake's campaign wanted him to withdraw from the race, and he would -- "if it were in the interests of freedom." "If Jeff Flake says he'll end the drug war, I'll withdraw," he says. Since that's incredibly unlikely to happen, it looks like Victor's still going to campaign for votes until Tuesday. "Flake's a guy who's been in [Congress for] 12 years," Victor says. "Instead of bashing me and bashing Carmona, why doesn't he talk about the things that he's done in the last 12 years?" For a case in point, the Flake ad featuring Cristina Beato accusing Carmona of knocking on her door at night -- an ad Victor jokingly says he's seen "50,000 times." "If I was ever running for reelection after 12 years, I wouldn't be talking about knocking on people's door," Victor says. "Isn't that the most ridiculous thing you've ever heard?"